Just seen Emily in The Childrens Clinic, Christchurch. She is one-year-old and had eczema and reflux disease. But when I first saw Emily it was clear to me that she had cow’s milk allergy. She went dairy-free: her reflux disappeared and her skin cleared up – a great result. And still, whenever she eats any dairy foods, her eczema flares up again. She also vomits. Yes, she gets sick with milk. Diagnosis: How did the diagnosis get made? We did skin prick tests, she had a positive reaction to milk. She got better off milk. Simple. It is fully documented in the medical literature. It can be readily diagnosed. So, why not take this serious disease seriously? A lot of children would benefit. 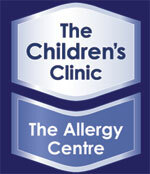 Paediatrician, The Childrens Clinic | Allergy Centre, Christchurch.